It’s available for around $40. At first glance I didn’t understand how it worked… I thought the purpose of a booster seat was to get the child up high enough that the shoulder belt goes across their chest, not across their neck. This seat is 3/4 of an inch thick, so how does it work? 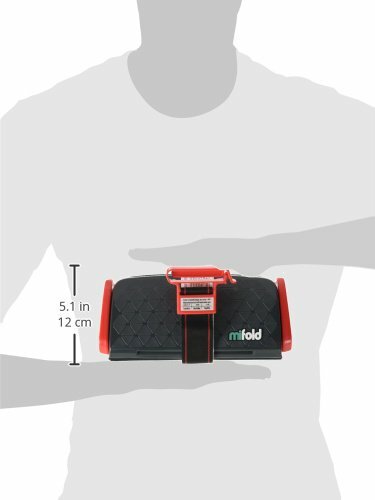 Instead of thinking of the mifold as a booster seat, think of it as a belt-positioner. Instead of lifting the child up, it pulls the seatbelt down. The belt guides on the seat ensure that the lap belt goes low across the child’s hips (not their belly – on top of all their internal organs, and not on the thighs where they could slip forward in case of an accident.) The strap pulls the shoulder belt down lower, so it will go across the child’s shoulder and chest, not their neck. Check for proper belt fit: the lap belt must fit snugly, low across the hip bones, just touching the top of the things. The shoulder belt should be across the center of the shoulder. It appears that the mifold works very well with many children in many vehicles. However, in some vehicles, it just can’t position the belts correctly, which means it would not be safe in a crash. Here are detailed reviews of the mifold, from Car Seat Blog and Car Seats for the Littles. Here is a video review. Here’s another video review. (Note: the video reviewers do not appear to be car seat experts.) Here are the ease of use ratings from the National Highway Traffic Safety Administration. Pros: Incredibly portable! Great for travel, taxis, and so on. Affordable. Older children are not embarrassed to use it, as they may be with another booster when their friends have outgrown theirs. Cons: Won’t fit all kids in all cars. Can slip around on seat or fold up a bit, which can make it hard to get into. Younger children won’t likely be able to buckle and unbuckle themselves as this is a bit tricky. My personal choice, as a mom – not as an expert in the field – is that the next time I go on a solo trip with my son, I’ll get a mifold. As a handicapped mom (I have one leg), being able to tuck his carseat into a suitcase instead of having to schlep a separate seat around airports is a huge advantage to me. But for this week’s trip when my husband will be with me, we’ll just stick to our traditional backless booster. We’ve got two 2-hour drives and two 4-hr drives so want to ensure he’s comfortable and up high enough to see out the window of our unknown rental vehicle. But if a highly portable carseat is a necessity for you, this may be a good option. The mifiold is available at Amazon , Target and elsewhere. Ride Safer Delight Travel Vest, Small Yellow – Includes Tether and Neck Pillow cost around $150. This is a vest that you buckle child into, then buckle it into the car. Comes with a bag so kids can carry their own seat easily. Helpful when there’s not enough space in the back seat to fit three car seats in a row. Putting one child in this travel vest can solve that problem. Or, if you just want a fairly small and portable traditional booster seat: Graco TurboBooster TakeAlong Backless Booster . Here’s the carseatblog’s review of the TurboBooster. $33. Note: I am NOT a Child Passenger Safety Technician. I am not an expert in this field, so please do your own research with reputable experts to make the safety decisions that are best for your child. 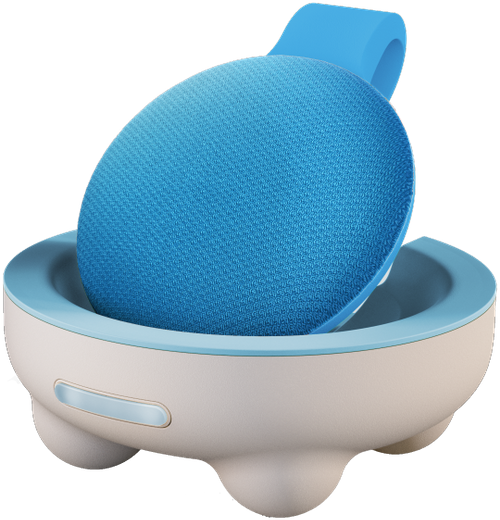 This entry was posted in Parenting Skills and tagged booster seat, car seat, passenger safety, travel tips, travelling with kids on December 17, 2018 by Janelle Durham.